Five women make history in 1955. First five to win WRAFVR Wings. Jackie Moggridge, Freydis Leaf, Joan Hughes. In the 1950’s five women became pioneers in the RAF by winning their full wings. They were the first women to go through the ‘wings’ training programme in the Women’s Royal Air Force Volunteer Reserve (WRAFVR). They were also the last women. Until, that is, 1991 when Julie Gibson became the first woman in the modern RAF to attain her wings. During this year of centenary celebrations of the Royal Air Force, it has been noticeable that there has been little mention of the role of women in the RAF throughout the one hundred years of it’s existence. BBC TV coverage of RAF100 has included an interview with Mary Wilkins Ellis of the Air Transport Auxiliary (ATA), who ferried aircraft during the Second World War. But other than split-second archive footage of WAAF women working on office tasks, there has been little else. Why has the ground breaking achievements of those five women been so deliberately ignored? It is well documented in women’s social history that after the war most females, who had taken on the jobs of men during 1939-1945, were expected to get back to their home kitchens. A number of the ex-ATA women pilots were not content to settle back into domestic expectations. They joined the WRAFVR. Five of them steadfastly worked their way through the demanding training programme until they had completed it. The first of the five was Pilot-Officer Jean Lennox Bird of Alton, Hampshire. She was presented with her ‘wings’ at Reading Aerodrome in 1952. Next to step up was housewife and mother Benedetta Willis. 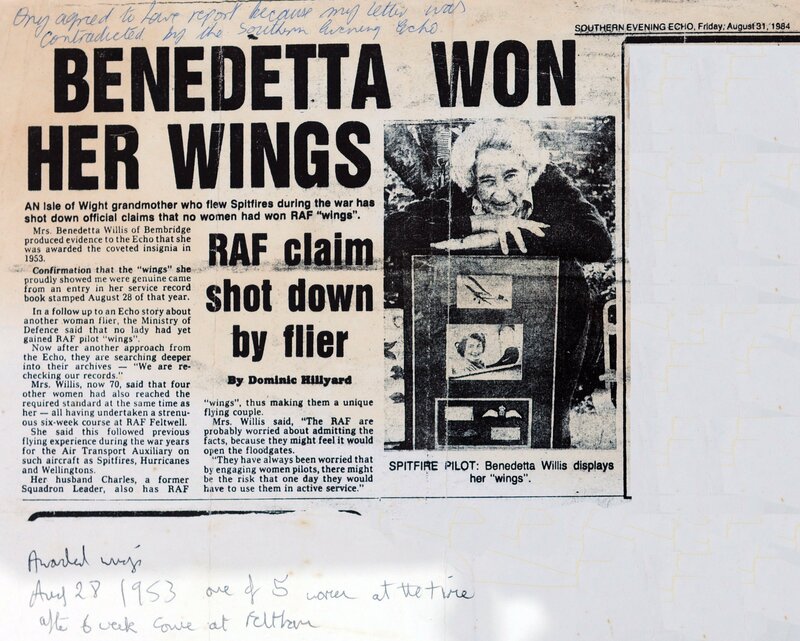 Benedetta was not a woman to blow her own trumpet very much but years later she was stirred into action to defend her proud achievement of gaining her wings. A Hampshire newspaper printed a correction to their previous story. See Benedetta Won Her Wings Twice. The third woman of the five was Spitfire Girl Jackie Moggridge. Like Benedetta, Jackie was a wife and mother. She had to fit her WRAFVR training in around her family. Her hard won ‘wings’ were awarded in 1953. 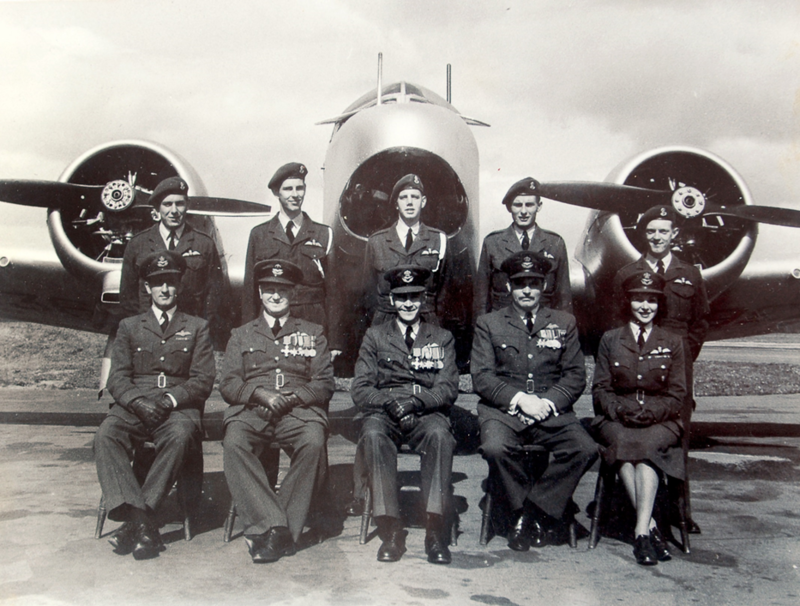 By now resentment among some of RAF men towards the ‘women with wings’ was starting to gather momentum. Only two more ladies were able to complete their training. Jackie Moggridge Gets Her RAF Wings at Award Ceremony in 1953. Image from the Jackie Moggridge Archive courtesy of Candy Adkins. They were Freydis Leaf Sharland and Joan Hughes. During the latter stages of their training they were put under intolerable pressure not to succeed and not seek publicity. Thus, they quietly earned their place in history, shrouded in secrecy. Except that one newspaper got the story out. Exactly who was responsible for informing the lucky reporter is not known. But consider this, in September 1952 Jean Bird stirred up a hornet’s nest when she tried to challenge the RAF Club in Piccadilly into letting her join this all-male bastion. She tried to get in via the ‘back door’ by fooling the committee into accepting her application. News of this leaked out. The finger of suspicion pointed at Miss Bird. 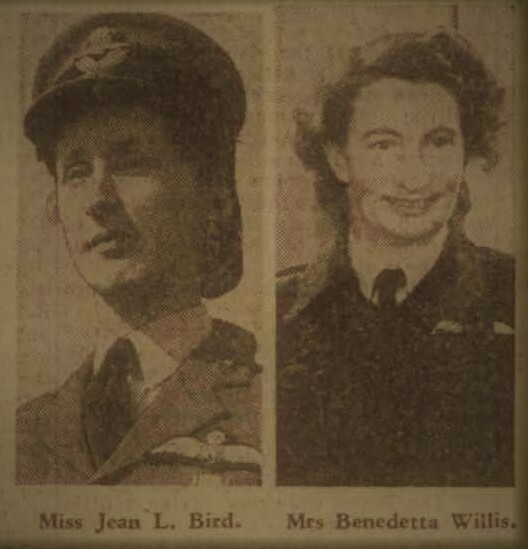 The headline asked, ‘Who is Flying Officer X?’ Does Jean sound like the kind of woman who would let her ex-ATA friends be, metaphorically speaking, robbed of their wings? After Freydis and Joan qualified, the RAF was reorganised to concentrate on training young male cadets as pilots. Women were, in effect, banned. 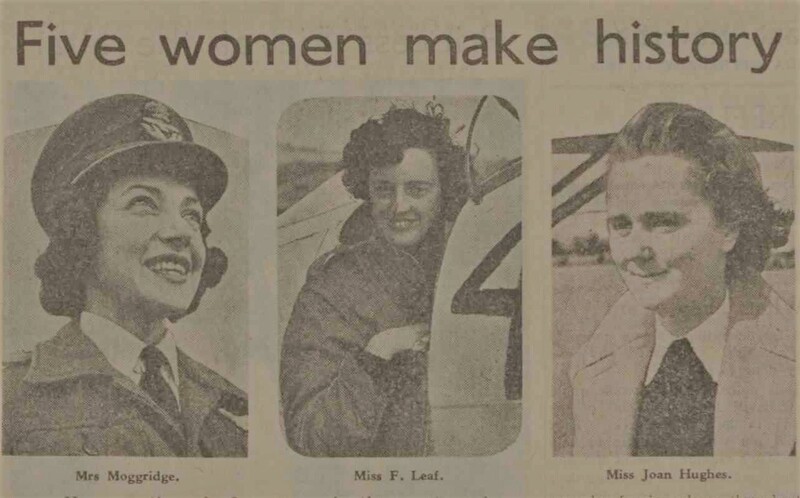 Since then the RAF has chosen to ignore these First Five Women history making pilots. It was not until 1991, when the RAF awarded Julie Gibson her full wings, that our Famous Five re-emerged from the shadows. The press coverage of Julie’s remarkable achievement was extensive. They wrongly reported that she was the first woman to do this. They were rapidly corrected by Jackie Moggridge’s family. The Times printed a correction. They justified their original story by claiming they printed the communication supplied to them by Royal Air Force. Our Forgotten Five had been airbrushed out of history by the very establishment that trained them. Why is it that same denial persists today? 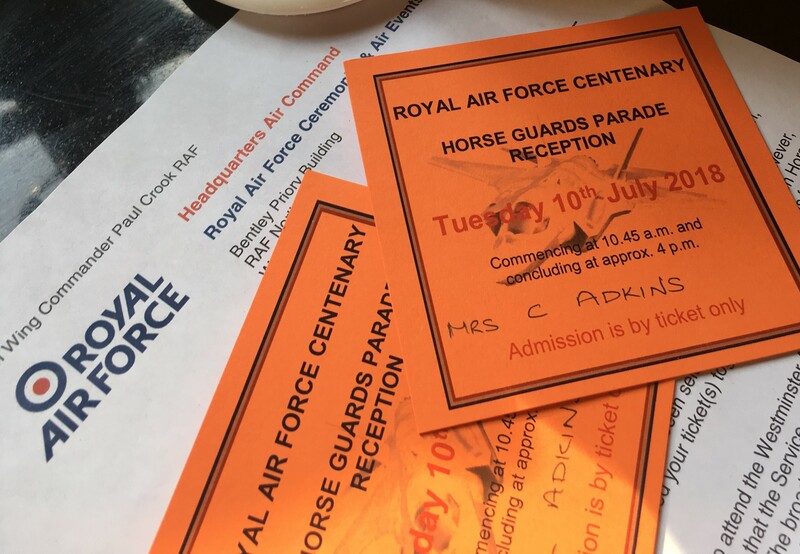 A denial that was experienced when Jackie Moggridge’s daughter Candy Adkins visited RAF Hendon earlier this year. See Spitfire Heroes Exhibition. A denial which gave birth to this project, to get a documentary made about the quintet to preserve their place in RAF history. Each of the women has an amazing life story, all very different from each other. Royal Air Force Centenary Flypast. Horse Guards Parade 10 July 2018. Image courtesy Candy Adkins. In this year of RAF100 celebrations, it is about time the Royal Air Force acknowledged the proud achievement of these five women. To learn more about Jean, Jackie and Benedetta visit their pages on this website.